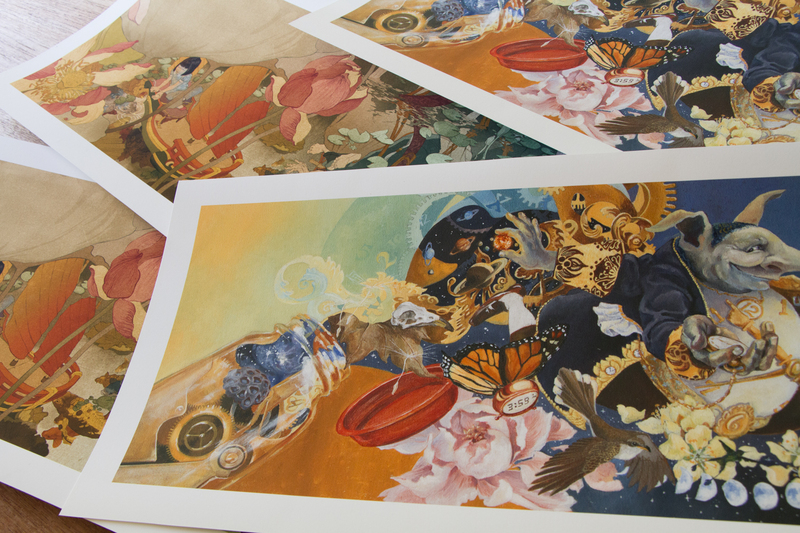 Shipping on my prints from INPRNT.com is free worldwide from now until Feb 1, 2015! I have a few of my favourite illustrations from Dream Boats available there as prints. There is daily programming for children – story time (under the blue whale, of course), puppet shows etc, so it’s a great outing for kids. The illustration I have on exhibit is a cover rough from my very first picture book, which is still in print and still plodding along…13 years later. The curators paired the painting with a cetacean skull. Shipping on my prints from Inprnt.com is free worldwide from now until Dec 1st, 2014! I have a piece of art in the upcoming Backyard Biodiversity Exhibit at the Beaty Biodiversity Museum at UBC (that’s a lot of Bs). The exhibition features books and illustrations by CWILL BC writers and illustrators. My piece is the cover comp for my very first picture book, A Pod of Orcas. All the illustrations in that book were referenced from the shoreline around my home in Vancouver, and the author drew her inspiration from the shoreline around her home on Vancouver Island – so I think that qualifies as our backyards. The opening event takes place on September 27th, from 12:00-3pm. There will be readings and art activities. There is a complete daily program list for the museum, here.